. Published on 08/12/2017 . 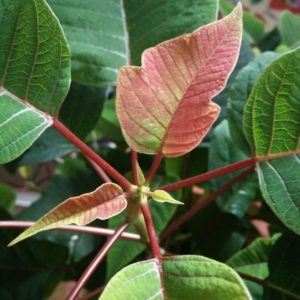 When you buy a poinsettia in full festive bloom, it will have taken around eight weeks to turn the bracts from leafy green to brilliant red… This is done by keeping the plants in warm conditions and complete darkness for up to 14 hours a day during this time. 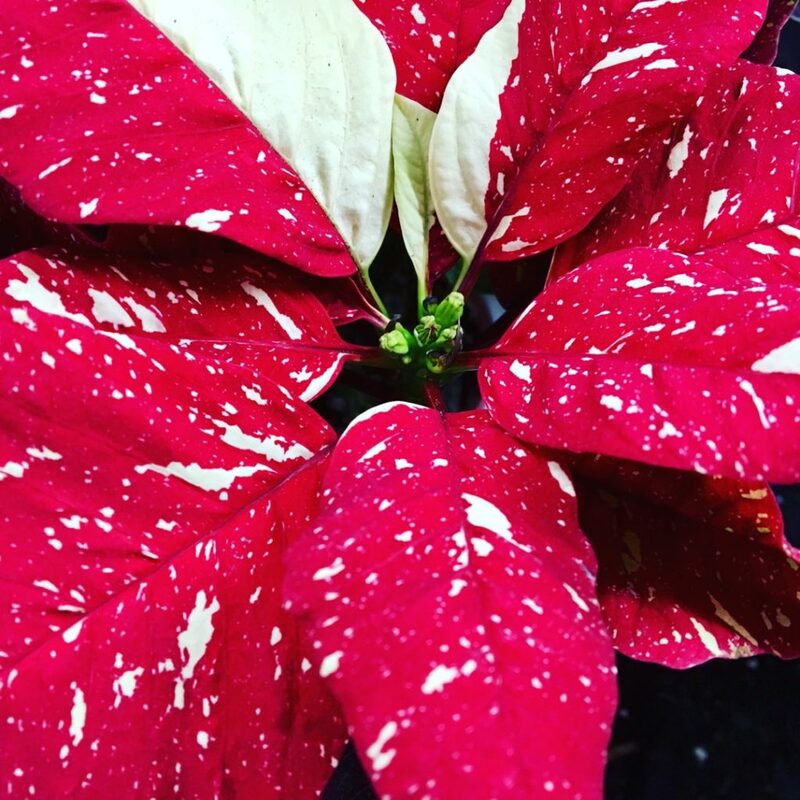 Poinsettias need to be kept in warm conditions at all times, above 13C with a constant, stable temperature… They are a bit fussy and don’t like environmental fluctuations, but do enjoy a little humidity! Even when transporting from plant nursery to home, they need a cuddle and should be kept warm until they’re in situ. Ideally, keep the plants in daylight but not direct light. Don’t overwater – the pot compost should be allowed to just start to dry out on top before a thorough watering, and ideally should be fed with a liquid fertiliser once a week. Poinsettias love a little misting from time to time, and will reward you with a longer flowering period for your extra attentiveness. If given the right amount of TLC, poinsettias will last until March, when the leaves finally fall and the plants can be pruned back hard. Keep the plants warm – around 18C – re-pot, and begin watering regularly again from May, supplementing with a liquid feed weekly once the plants have grown and established. From October, mimic the natural reduction in daylight by keeping the plants in complete darkness for 12 hours, but remember to keep the plants warm and watered. By December the plants should have produced their bright bracts again – these can be red, white or pink – ready for that stunning Christmas display again. If you want to find out more about how to garden make sure you download the GardenTags app and look up the #howto series. And don’t forget there are 100,000+ passionate gardeners on GardenTags who are all gardening together and helping one another out. Go to the Apple App Store or Google Play now.